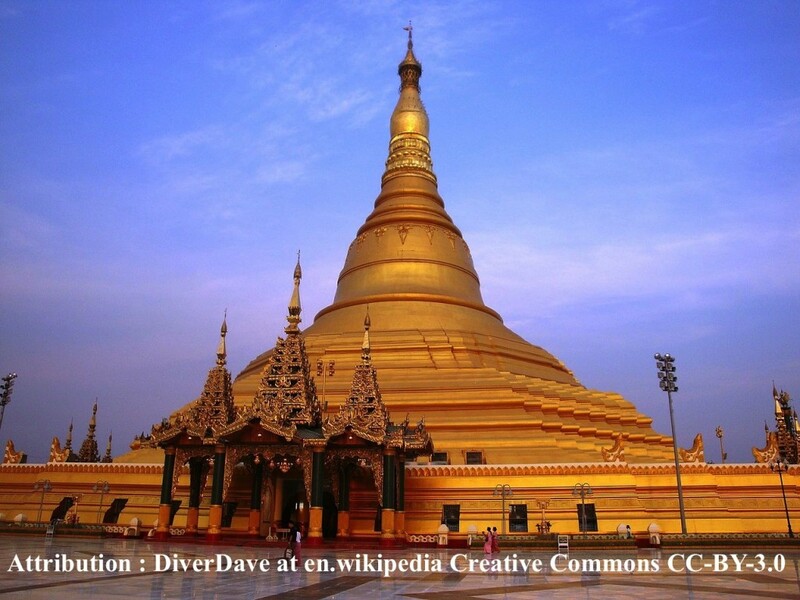 The Uppatasanti Pagoda is almost a perfect replica of the Shwedagon Pagoda (Golden Pagoda) in Yangon. Also called the Peace Pagoda, the height is 99 meters. The construction started in 2006 and finished in 2009. Uppatasanti is a sutra verse meaning ‘protection against calamity’ which is recited in critical time or in the face of foreign attack. The most important relic is a tooth from the Buddha, which was offered by China. Other features of interest are the Maha Hsutaungpyae Buddha Image, a heighted flagstaff, 108 holy Bo tree’s garden, a garden with the illustrations of Buddhas, and a museum.